> Augmented reality: the death or rebirth of the high-street? Augmented reality: the death or rebirth of the high-street? Posted: Thursday 7th January 2016 in Performance Marketing, Thought Leadership. 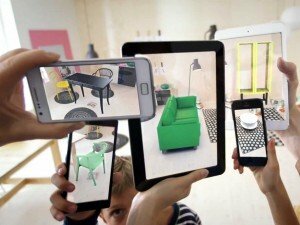 Augmented Reality (AR) looks to finally be a game changer for retailers in 2016 and is set to offer a new dimension for shoppers and retailers alike. But can the introduction of this technology help bridge the eCommerce gap the high street has struggled to cope with in recent years, or will it just offer even more opportunity for “arm chair shoppers” to dominate the landscape? Earlier this year in the UK, offline sales slumped to their lowest point since Nov 2008, yet online sales are set to rise to a staggering £52billion by the end of this year; a 16.2% increase from 2014. The online commerce train continues full steam ahead and so retailers need to be looking at how they can align the modern affection for digital innovation and eCommerce with traditional physical shopping. Enter Augmented Reality. From virtual changing rooms like the Kinect projects with Nike, Selfridges and Topshop, to holographic browsing apps like the Converse Shoe Sampler, a great app that shows you how the shoes will look on your feet without the need to try them on. 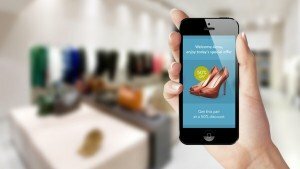 Retailers have been attempting to utilise AR technology to make significant advancements in how shoppers search and purchase products both in-store and online for a while now, very aware that the retail space has become so overcrowded and consumers have become desensitised to traditional marketing methods. Unfortunately to date it’s all felt a little…novel. 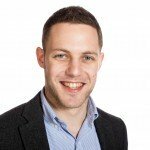 This year, with the cost of technology reducing all the time, and the advancements in technological thinking, we should see the start of really effective innovation in AR, as retailers realise the importance and value it offers them and how effectively it can be used to entice customers to shop in store. Not to mention the valuable insights and data it can generate to inform overall marketing decisions for the business. Take Ted Baker as an example. This year they launched their new ‘virtual store’ which allows consumers to browse the shelves of one of their flagship London shops straight from their living rooms with no queues to stand in or busy shoppers to get in the way. It’s unique and is a great marketing ploy but also gives Ted Baker the opportunity to utilise analytical data about how consumers navigate around the shop and what products they zoom into or research. This can then be used to guide the layout and promotions in-store for a better customer journey and higher converting footfall. Of course you can argue; what happens when seasonal stock changes or products are moved around the store? It’s true it might become out of date and expensive to maintain, but the concept of using AR technology to understand how shoppers behave while in store is certainly the right one and is sure to improve the overall shopping experience. If it can also help understand what shoppers are looking for and how the store can be re-designed to achieve better performance it will become hugely valuable to high street retailers looking to drive up physical store sales. When you consider the advancements this year in mobile location tracking and Beacon technology, too, this increase in footfall will allow the savvy, digital minded retailers to really understand the demographics behind who is visiting their stores. This gives valuable insight into how and when to deliver relevant content to them both in-store or online which will also serve to improve bottom line sales. It’s clear that 2016 is the year for the savvy retailer who understands the value and fun in virtually augmented shopping, but more importantly understands how to use this technology in a wider business sense. I believe AR should be a win-win for consumers and retailers alike, and that is the key to differentiating yourself from the novel technology that exists today and the game changing ideas that will change how we shop tomorrow. If you’d like to find out more please contact Danny Gazit on 0203 428 5300.